← ASUS Eee Pad Review! 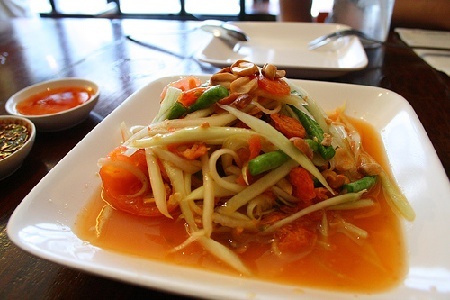 For months, I used to go to Thai restaurants and enjoyed eating beef and other salads. Well, one of my friends run an authentic Thai restaurant right here in Bay Area, I asked him to teach me his “restaurant recipe” for Thai hot sauce. 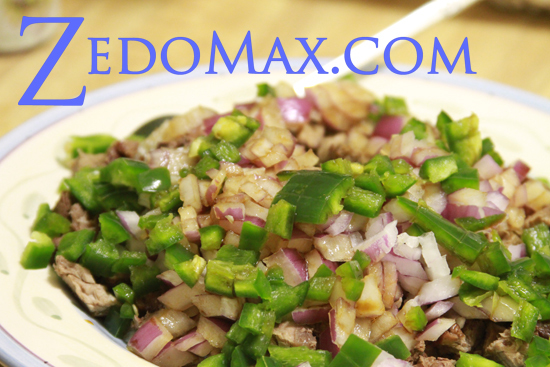 This Thai hot sauce is sweet and spicy, goes very well as steak sauce or on top of any fish. I’ve been actually mastering the art of making this very Thai hot sauce for the last 6 months or so and am glad to tell you how to make the “secret” Thai restaurant-style hot sauce. This will make enough hot sauce for 2-3 people. If you want to make larger batch, just double/triple the ingredients. 3 limes – You want to pick the right lime, try to get the freshest lime that’s also soft to squeeze and probably green with signs of yellowness. 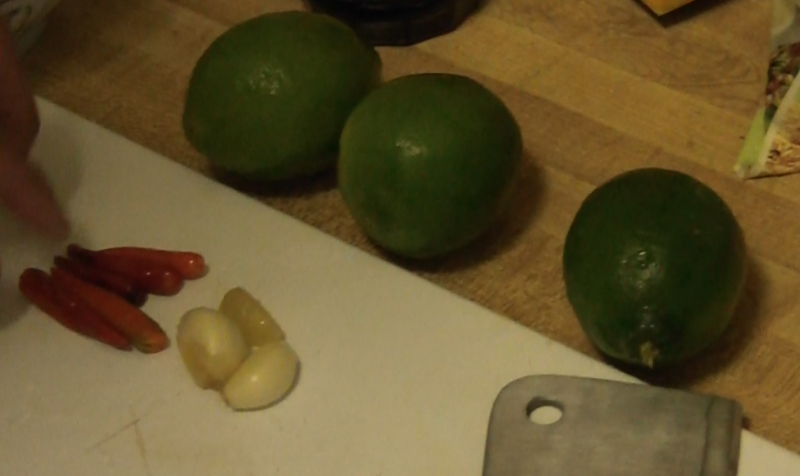 Lime is what makes the difference in this hot sauce (over my trial and error over the last 6 months). Depending on the lime you get, your Thai hot sauce can taste very sweet or not as sweet. 3 garlics – This one isn’t actually part of the restaurant-style recipe but if you like garlic, put about 3 pieces of garlic, it makes it a bit tangier. 1-5 chili peppers – Depending on how you like it you can add anywhere from 1 to 5 chili peppers or more. I like it super spicy, so I am using 5. 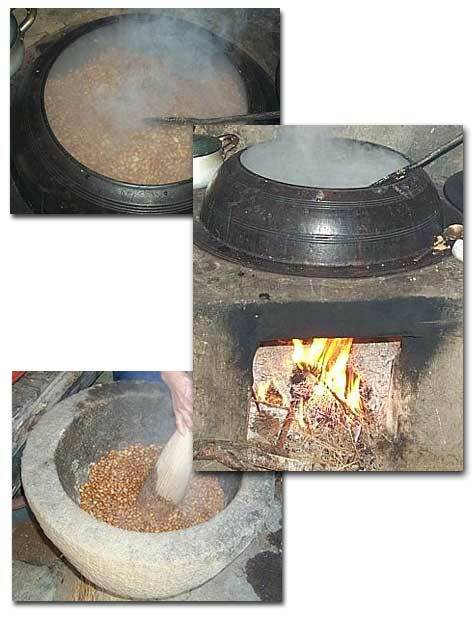 How to Make Thai Hot Sauce! 1. First, cut up the chili peppers and garlic into the smallest possible pieces, you can use a blender if you’d like but I just like doing it with my big knife. 2. 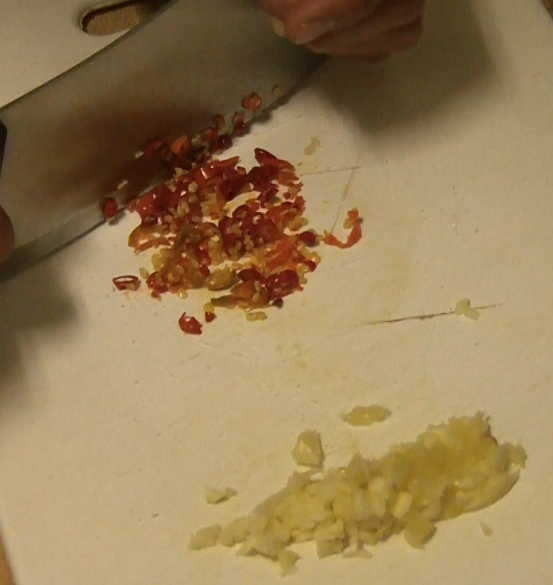 Next, put the chopped up garlic and chili peppers into a bowl. 4. 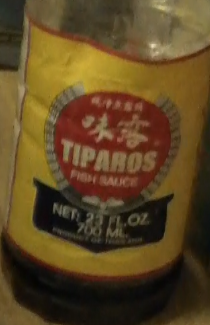 Add in 3 tablespoons of Tiparos fish sauce and also 3 tablespoons of sugar. 5. Mix it well and taste it. If it’s too sour, add a bit more fish sauce and/or sugar until the hot sauce is tangy in your tongue, nicely spicy and sweet. P.S. I really got this “secret recipe” off my friend who runs the most popular Thai restaurant in the SF Bay Area so now you know how to make some great Thai food with it. A lot of Thai food is nothing but the sauce itself anyways. One Response to Thai Food Hack – How to Make Restaurant Style Thai Spicy/Sweet Hot Sauce! 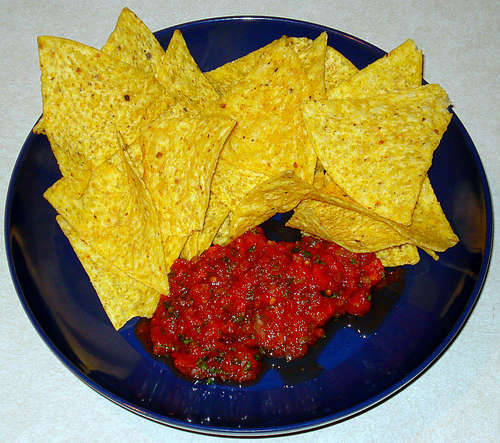 Pingback: Salsa Hack – How to Make Authentic Mexican Salsa! Check out more interesting categories: Cooking, DIY, Entertainment, Featured DIYs, Featured Entertainment, Featured Hacks, Food, Hack, HOWTO, Projects. 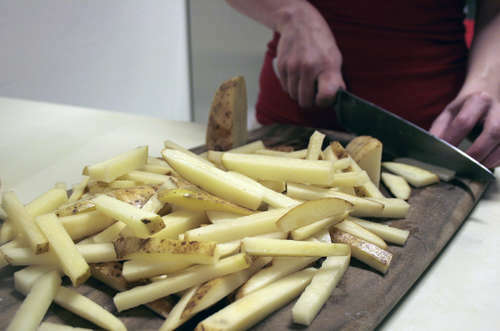 Food Hack – How to Make French Fries from Scratch!